The health and environmental effects of dioxin have been the subject of fierce debate for more than 20 years. Dioxin earned a reputation as “one of the most toxic substances know to humans” as a result of tests on animals which found that one form of dioxin, 2,3,7,8-TCDD, was “the most potent carcinogen ever tested.” There are 75 other dioxin compounds, apart from 2,3,7,8-TCDD, of varying toxicity. Reference: Jeff Johnson, ‘Dioxin Risk: Are We Sure Yet?’, Environmental Science & Technology, Vol. 29, No. 1 (1995), p. 25 A.
Dioxins are by-products of many industrial processes including waste incineration, chemical manufacturing, chlorine bleaching of pulp and paper, and smelting. In fact any process in which chlorine and organic matter are brought together at high temperatures can create dioxin. It is for this reason that Greenpeace and other environmental groups have called for phasing out of the chlorine industry. Between the 1950s, when dioxin was discovered to be a contaminant in herbicides, and 1995, when the EPA concluded that the general population may be exposed to unacceptably high levels of dioxins, corporations have set out to confuse the public and influence government regulation of dioxin. They have used corporate front groups, grassroots organising, strategic lawsuits against public participation, conservative think tanks, public relations firms, ‘educational’ materials and the media. Reference: Lois Marie Gibbs and The Citizens Clearinghouse for Hazardous Waste, Dying from Dioxin (Boston, MA: South End Press, 1995), p. 1. Reference: Liane Clorfene Casten, ‘Dioxin Charade Poisons the Press’, Extra! (January/February 1992) , p. 13; Jack Weinberg, ed. 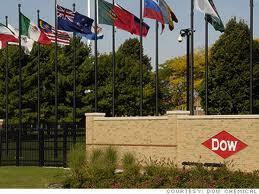 ‘Dow Brand Dioxin: Dow Makes You Poison Great Things’, Greenpeace, 1995, part 5. One of the key players in this story has been Dow Chemical. It is a major manufacturer of chlorine, producing 40 million tons of chlorine each year, much of which is used to make plastics, solvents, pesticides and other chemicals. In 1965 a Dow researcher warned in an internal company document that dioxin “is extremely toxic” but Dow has always publicly claimed it is not. It is of vital importance to Dow that the dangers of dioxin are minimised and tough regulation of the chlorine industry is avoided. Dow uses lobbying firms and trade associations such as the Chemical Manufacturers Association, the National Association of Manufactures and the US Chamber of Commerce, to influence politicians to vote against increased regulation of the chlorine industry. Reference: Jack Weinberg, ed. 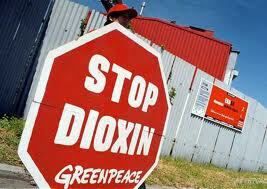 ‘Dow Brand Dioxin: Dow Makes You Poison Great Things’, Greenpeace, 1995, part 5. Each of these is armed with lawyers and lobbyists who daily stroll the corridors of Congress, the EPA and the White House, influencing public policy in ways unimaginable, and inaccessible, to ordinary citizens. Each of these has a public relations budget, and staff to write op eds, testify before Congress or the EPA, appear on news shows as ‘experts’, speak to civic groups. Dow Chemical, alone, spent over a million dollars over the last ten years on donations to politicians running for national office and in the 1992 election Dow, together with other chlorine producers, donated more than $1.4 million to people running for Congress. In 1995, Dow provided the services of one of its lobbyists, free of charge, to the House of Representatives Commerce Committee, which has attacked the EPA and environmental protection laws. Reference: Joani Nelson-Horchler, ‘‘We were wrong’; acts of contrition brighten a company’s tarnished image’, Industry Week, Vol. 239, No. 8 (1990). Reference: Mark Megalli and Andy Friedman, Masks of Deception: Corporate Front Groups in America: Essential Information, 1991); Jack Weinberg, ed. ‘Dow Brand Dioxin: Dow Makes You Poison Great Things’, Greenpeace, 1995, part 5. Reference: EPA scientists quoted in Michael Fumento, Science Under Siege: Balancing Technology and the Environment (New York: William Morrow and Co, 1993), p. 53. Following the setting of standards in 1985 the EPA came under intense industry pressure to revise them. This pressure was stepped up when, in 1985, dioxin was accidentally found in the discharges from pulp and paper mills that used chlorine for bleaching the paper white. Fish downstream from those mills were also found to be contaminated and tests showed that dioxin was present in the manufactured paper goods. These tests were part of an ongoing study called The National Dioxin Study. Reference: Kathryn Harrison and George Hoberg, ‘Setting the Environmental Agenda in Canada and the United States: The Cases of Dioxin and Radon’, Canadian Journal of Political Science, Vol. XXIV, No. 1 (1991), p. 13; Lois Marie Gibbs and The Citizens Clearinghouse for Hazardous Waste, Dying from Dioxin (Boston, MA: South End Press, 1995), p. 13. The American Paper Institute set up a ‘crisis management team’ to deal with the situation. Leaked documents, obtained by Greenpeace, show that the administrator of the EPA met with representatives of the pulp and paper industry and promised that the EPA would revise downward its risk assessment of dioxin to ease the problem for the industry. He also agreed to notify the industry as soon as the EPA received any requests for information about the study under the Freedom of Information Act (FOIA) and that it would not release any results of testing before publication of the final report on the study. The EPA would then send the American Paper Institute a letter saying that testing data was preliminary and meaningless. Reference: Quoted in Lois Marie Gibbs and The Citizens Clearinghouse for Hazardous Waste, Dying from Dioxin (Boston, MA: South End Press, 1995). Reference: Jeff Bailey, ‘Dueling Studies: How Two Industries Created a Fresh Spin on the Dioxin Debate’, Wall Street Journal, 20 February 1992, p. A4; John Thorner, ‘The ‘That’s Old News’ Strategy’, Harper’s magazine (February 1987), p. 22; Kathryn Harrison and George Hoberg, ‘Setting the Environmental Agenda in Canada and the United States: The Cases of Dioxin and Radon’, Canadian Journal of Political Science, Vol. XXIV, No. 1 (1991), p. 13. Reference: John Thorner, ‘The ‘That’s Old News’ Strategy’, Harper’s magazine (February 1987), pp. 22, 26. I would suggest we use the background statement we already have prepared because it is written in a tone that suggests that what is going on has been going on for a long time. I also would include the article from Scientific American which suggests that dioxin may not be all that serious a health problem....We might not want to include the above material in a formal kit. That might give the appearance we consider this a major event. Instead we might send some material, only when asked, in a regular API envelope. Reference: Lois Marie Gibbs and The Citizens Clearinghouse for Hazardous Waste, Dying from Dioxin (Boston, MA: South End Press, 1995), p. 6; Barry Commoner, ‘Acceptable Risks: Who Decides?’, Harpers Magazine, Vol. 276, No. 1656 (1988), p. 30. Reference: Barry Commoner, ‘Acceptable Risks: Who Decides?’, Harpers Magazine, Vol. 276, No. 1656 (1988), pp. 30-1. Animal studies seemed to indicate that dioxin was a complete carcinogen but it did not behave like either an initiator nor a promoter. Rather than question the initiator-promoter model, which has since been found to be inappropriate to dioxin, the EPA decided to base its risk assessment on a mid-point between the risk of a promoter and that of a complete carcinogen. This would have resulted in the ‘safe’ standard being loosened by 16 times. Reference: Jeff Johnson, ‘Dioxin Risk: Are We Sure Yet?’, Environmental Science & Technology, Vol. 29, No. 1 (1995), p. 24A; Leslie Roberts, ‘Dioxin Risks Revisited’, Science, Vol. 251 (8 February 1991); Lois Marie Gibbs and The Citizens Clearinghouse for Hazardous Waste, Dying from Dioxin (Boston, MA: South End Press, 1995), p. 7. When the EPA failed to adjust their standards for dioxin following the 1988 reassessment, the various interests concerned continued to apply pressure to downgrade the standards and to convince the public that dioxin wasn’t really dangerous. A loosening of dioxin standards could mean that pulp and paper mills would not have to install expensive new equipment to reduce or eliminate dioxin being discharged into waterways. Reference: Peter Montague, ‘A Tale of Science and Industry’, Rachel’s Hazardous Waste News, No. 248 (1991). A reappraisal of how dangerous dioxin was could also save dioxin producers billions of dollars in legal claims from those exposed to it. In October 1990 the paper making company Georgia Pacific had lost a court case in Mississippi for alleged dioxin pollution and had $1 million in punitive damages awarded against it. This was expected to trigger many other similar suits against other paper mills in various states, involving thousands of people and worth billions of dollars. Other industries were facing similar legal actions. Reference: Peter Montague, ‘Dioxin Dangers - What’s Going On?’, Rachel’s Hazardous Waste News, No. 249 (1991); Liane Clorfene Casten, ‘Dioxin Charade Poisons the Press’, Extra! (January/February 1992), p. 12; Barbara J. Cullton, ‘US government orders new look at dioxin’, Nature, Vol. 352, No. 29 August (1991). Reference: Vernon N. Houk, ‘Dioxin’, Consumers’ Research (February 1992), p. 15. In summary, with the exception of chloracne... there are no convincing data for the association of dioxin exposure in humans, with early mortality, adverse reproductive outcomes, or chronic diseases of the liver or of the immune, cardiovascular, or neurologic systems. The overall cancer question is not settled, but if dioxin is a human carcinogen, it is, in my view, a weak one that is associated only with high-dose exposures. Reference: Quoted in Vicki Monks, ‘See no evil’, American Journalism Review, Vol. 15, No. 5 (1993); David Lapp, ‘Defenders of Dioxin: The Corporate Campaign to Rehabilitate Dioxin’, Multinational Monitor (October 1991), p. 9. Houk was quoted and cited extensively in the media. However when Houk was called before a congressional subcommittee to answer allegations of “improperly aiding the paper industry’s campaign to loosen restrictions on dioxin pollution in water” he admitted that his proposals to relax dioxin standards were “taken practically verbatim from paper industry documents.” This did little damage to his credibility in the media, which had its own links with the paper industry. Reference: Jeff Bailey, ‘Dueling Studies: How Two Industries Created a Fresh Spin on the Dioxin Debate’, Wall Street Journal, 20 February 1992. The paper industry also set out to cast doubt on the scientific basis of EPA’s dioxin standards. It hired five scientists in 1990 to reexamine a 1978 study showing dioxin caused cancer in mice. This study had been influential and was reputed to have been the real basis for the EPA’s tough line on dioxin. The rat slides from that study were reexamined by the five scientists and tumours recounted. The paper industry’s scientists counted 50% fewer tumours than had been originally counted. Although the new count still showed that dioxin was a more potent carcinogen at low doses than other chemicals, the paper industry used their recount to push the EPA to loosen their dioxin standards. Reference: David Lapp, ‘Defenders of Dioxin: The Corporate Campaign to Rehabilitate Dioxin’, Multinational Monitor (October 1991), p. 10; Leslie Roberts, ‘Flap Erupts Over Dioxin Meeting’, Science, Vol. 251 (22 February 1991) , pp. 866-7. 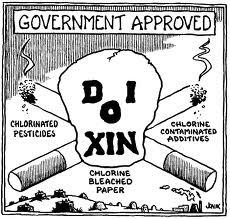 The Chlorine Institute also attempted to shift the scientific consensus concerning dioxin. In 1990 the Chlorine Institute, a chlorine industry trade group with members such as Dow Chemical, Du Pont, Georgia-Pacific, International Paper, and Exxon Chemical Co, organised a conference of dioxin scientists at the Banbury Center. The Chlorine Institute believed that scientists were coming to perceive that dioxin was not as dangerous as once thought and they hoped that the conference would be “beneficial to our interests, particularly our interest in the paper industry.” It appointed three scientists as organisers and they in turn picked the 38 participants; scientists and regulators from the US and Europe. Also in attendance was George Carlo, consultant to the Institute. The Institute hired Edelman Medical Communications to publicise any conference outcome that was to the Institute’s advantage. Reference: Leslie Roberts, ‘Flap Erupts Over Dioxin Meeting’, Science, Vol. 251 (22 February 1991), pp. 866-7. 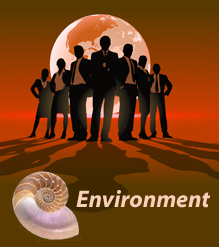 Following the conference, Edelman, their PR firm, sent out a press packet with a background paper put together by Carlo, Edelman and the Institute, claiming that the conference had reached a consensus that dioxin was “much less toxic to humans than originally believed.” This outraged some of the scientists present who had not reached this conclusion and who felt that they had been manipulated by the Chlorine Institute. Reference: Quoted in Peter Montague, ‘A Tale of Science and Industry’, Rachel’s Hazardous Waste News, No. 248 (1991); Jeff Bailey, ‘Dueling Studies: How Two Industries Created a Fresh Spin on the Dioxin Debate’, Wall Street Journal, 20 February 1992, p. A4. Reference:Jeff Bailey, ‘Dueling Studies: How Two Industries Created a Fresh Spin on the Dioxin Debate’, Wall Street Journal, 20 February 1992, p. 1; National Chamber Foundation quoted in David Lapp, ‘Defenders of Dioxin: The Corporate Campaign to Rehabilitate Dioxin’, Multinational Monitor (October 1991), p. 9. Reference: Quoted in Peter Montague, ‘EPA’s Dioxin Reassessment - Part 1’, Rachel’s Hazardous Waste News, No. 269 (1992). Reference: Jenkins quoted in Peter Montague, ‘EPA’s Dioxin Reassessment - Part 1’, Rachel’s Hazardous Waste News, No. 269 (1992); David Lapp, ‘Defenders of Dioxin: The Corporate Campaign to Rehabilitate Dioxin’, Multinational Monitor (October 1991), p. 8. Reference: Quoted in Jeff Bailey, ‘Dueling Studies: How Two Industries Created a Fresh Spin on the Dioxin Debate’, Wall Street Journal, 20 February 1992, p. A4. Reilly seems to have obliged. The EPA began its third assessment of the risks of dioxin within a few months of the meeting and in August that year William Reilly told The New York Times: “I don’t want to prejudge the issue, but we are seeing new information on dioxin that suggests a lower risk assessment ... should be applied.” This contrasted sharply with the views of many of the EPA’s own scientists. However it was widely reported in the media that the EPA thought that dioxin dangers were exaggerated. Reference: Quoted in Peter Montague, ‘A Tale of Science and Industry’, Rachel’s Hazardous Waste News, No. 248 (1991). The New York Times, in an editorial, praised the EPA for “sensibly considering new evidence that could lead to relaxation of the current strict and costly regulatory standards” for dioxin and a few days later it ran a front page story beginning “Dioxin, once thought of as the most toxic chemical known, does not deserve that reputation, according to many scientists,” scientists who were not named. Reference: Ann Gibbons, ‘Dioxin Tied to Endometriosis’, Science, Vol. 262, No. 26 November (1993) ; Tony Reichhardt, ‘EPA rebuffs challenge to its assessment of dioxin data’, Nature, Vol. 371, No. 22 September (1994) ; Karen Schmidt, ‘Dioxin’s Other Face: Portrait of an “environmental hormone”’, Science News, Vol. 141, No. January 11 (1992) , pp. 25, 27. The media generally downplayed the dangers of dioxins during the early 1990s despite emerging evidence that indicated that it was in fact just as dangerous as had previously been thought. Between 1990 and 1993 several studies highlighted that reproductive and immune-system effects of dioxin could in fact be more devastating for human health than the cancer caused by dioxin. One study accidentally found that monkeys exposed to low levels of dioxin every day developed endometriosis and that the severity of the disease increased with increased exposure. 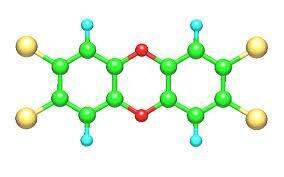 Scientists also found that the immune system of mice was suppressed when exposed to relatively low levels of dioxin. “Mice pretreated with dioxin readily die after exposure to a quantity of virus that rarely kills healthy mice.” The amount of dioxin required to cause this affect was far lower than the amount required to cause dioxin’s other affects in animals.